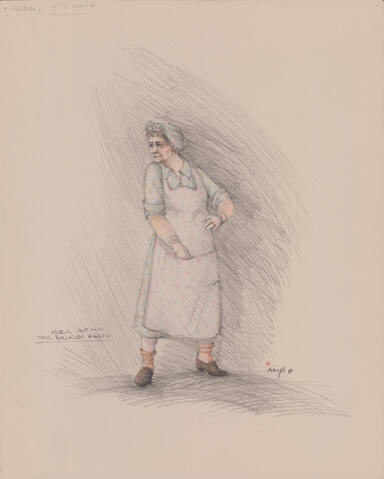 Item is a coloured pencil sketch of a costume design for Dalhousie Theatre's 1981 production of The Birthday Party. The costume is for a character named Meg in Acts I-III. The sketch shows a female figure wearing the costume.